This was an investment fraud case involving individual investors, banks, and other lending institutions. Client faced a 20-year sentence if found guilty. After intense negotiations, government attorneys agreed to major concessions for client. This was a drug smuggling case at the Mexican border involving a large quantity of methamphetamine. Defense investigation resulted in the judge dismissing the case. Defendant was charged with smuggling people across the Mexican border. Jury could not reach verdict and the case was dismissed. A recent defense trial victory exemplified the work and struggle necessary to represent an individual wrongly accused of financial elder abuse crimes. The matter involved an elderly man who together with other members of his family falsely accused another family member of taking hundreds of thousands of dollars. The case required extensive pretrial motions, investigation, and in a jury trial lasting three weeks, a verdict of not guilty was returned on all counts. This verdict for the defense was a result of the experience, determination, and preparation of Attorney Paul W. Blake. Defendant was charged with first-degree murder. The prosecution tried to inflate defendant’s role by adding conspiracy and gang affiliation charges. After intense defense investigation, prosecution dismissed murder charge. This was a high-profile murder case involving a juvenile and two of his friends charged with murdering his younger sister. In a very controversial court decision, all three boys were ordered to stand trial as adults. After the defense found blood evidence overlooked by police and coercive police interrogation tactics were revealed, all charges were dismissed. Defendant was charged with robbery by force and fear. After two jury trials, charges were dismissed. Participated as co-counsel in a suit against the State of California for reimbursement for services to the developmentally disabled. 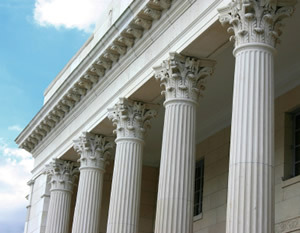 Represented homeowners against a developer for construction defects and secured favorable settlements. Successfully prosecuted on a claim of breach of contract and misrepresentation involving intellectual property. Mr. Blake has also represented clients with Family Law, Civil Probate, Contract Law and is available to assist clients with Real Estate Law and Sales of Real Property.